It gave me a chance to really put my Clash skills to the test and plot my path forward. As I said - this was a newly minted TH7 game; I hadn't even dropped the new items for TH7 much less upgraded anything. It did, though, really help me solidify my rushing strategy. Your first step in recovering from a bad rush is always to assess what you have on the game grid. I do not take a hyper-rushed game into Clan Wars, so my recovery path is based on that initial assumption. Once I've assessed what I have on the board, I next get everything that is still in the shop and drop it on the grid. I want a full house of furniture to play with here, not just bits and pieces. The higher the TH, the more defenses and other structures you have available. There's no sense making it easy for your opponents, so get it all down. While you're at it - cough up a few bucks and buy the remaining builders. If memory serves, it's only something like $30 to get the gems for the builders and you'll definitely want all 5 to beef up your game fast. Now, set levels for each structure and start upgrading, beginning with the offense. Your very first goal is to get max farming troops for whatever TH level you're currently running. Offense is the priority with all rushing strategies; you cannot effectively gather resources without a decent offense. That means your first upgrades will be the Laboratory, Spell Factory, Dark Spell Factory, Barracks, Army Camps, and Heroes. The remaining structures are upgraded in between offensive upgrades. Typically, you won't have enough elixir alone to keep the builders going; spend that gold. I recommend an upgrade order of point defenses, air defenses, splash defenses. Keeping the builders building and the lab working are an imperative when rushing; it's no different when cleaning up a poorly rushed game. Some upgrades will require you to upgrade storages as well; just upgrade what is necessary to get the required upgrades underway. As always - walls should be your last concern. In fact, my TH11 hyper-rushed game is currently running pink walls (level 6) even though it has a year of recovery under its belt. The actual upgrade plan will vary, depending upon where you are in the rushing process. 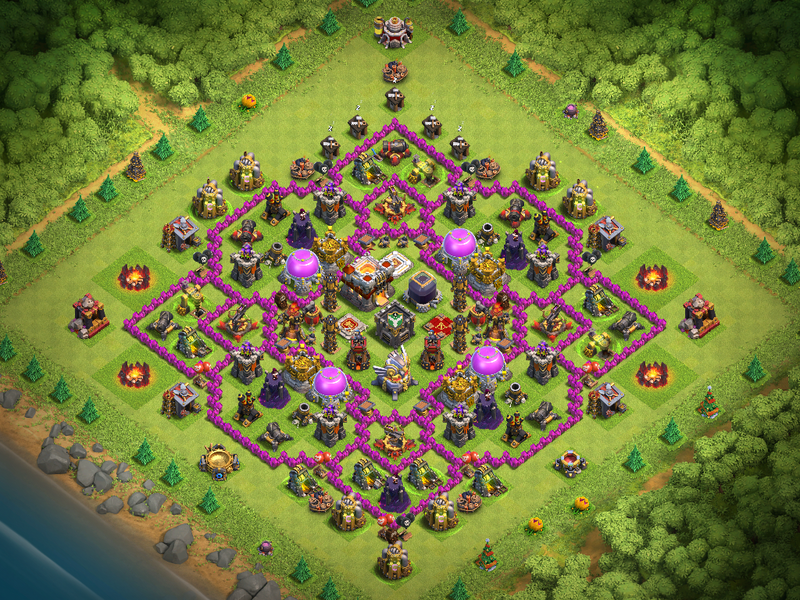 For example, my TH7 that was bumped to TH11 had all TH6 level structures. So, I set TH7 as my initial maxing level, dropped everything, and got it all to TH7 maxed levels. I focused on my farming troops - initially, Barbarians/Archers/Giants for GiBarch, but then Wizards and Healers for Giant/Healer/Wizard. A lot of players focus on Goblins so they can run the Goblin Knife which is great for grabbing resources (I've never been able to get the hang of it, myself, though). When everything was evened up at TH7 max, I moved on; but not before. I wanted that baseline level to work from so I could make strategic upgrade choices and give raiders a decent fight. If you're near TH9 levels, then you're in a very good position - a solid rushing strategy keeps key defenses and offenses not more than 2 levels from the TH. So, a TH11 with TH8 or TH9 structures/troops is actually not in a bad place. As soon as you have your structures evened up and at the level you set, just cycle through them one set at a time to bump them up. Along the way, you'll want to get some of the high end structures maxed as well. Remember: it's not just about the level of the defense, but how many of them are on the board. Get some of the stronger defenses upgraded sooner and the rest just become cannon fodder while the big defenses pick the army off. On my TH11, I maxed my Infernos, Hidden Teslas, X-bows, and Eagle Artillery early on. These are powerhouse defenses and no matter how quickly an opponent works through your Archer Towers, Wizard Towers, Mortars, and so forth...a strong hub with maxed power-defenses will slow them down, maybe even stop them altogether. TH11 has bulk behind it - a LOT of bulk. The sheer breadth of the level is enough to keep most army compositions busy while they're being picked off. A lot of players underestimate this game's defensive capabilities. It is currently sitting at 3690 trophies, Champions League II, and stays there just fine on defensive wins. 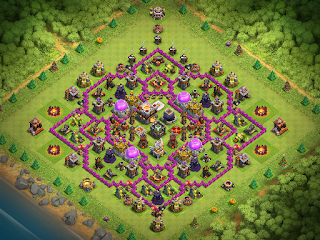 Hidden Teslas are level 9 (maxed), Bomb Towers are level 4 (maxed), and the Eagle Artillery is at level 2 (maxed). I have two of the four X-bows at level 5 with a third on its way there and the last one expected to start the upgrade in about a week. I also keep the Clan Castle filled with 35 troop units, typically Baby Dragon/Valkyrie/Wizards. This is the hub that a raider needs to beat when they break through those pretty, pink walls. 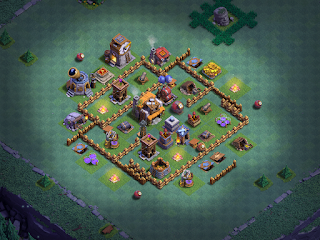 All offensive structures have long since been maxed as have many of the troops. The recent update added some new levels and they're already under upgrade in the lab. The Barbarian King and Archer Queen are only level 21, but the Grand Warden is about to go to level 20 (maxed) in a few weeks (he just finished upgrading to level 19 today). As you can see, an offense focused recovery has taken the troops far. This game was used as a CC feeder for my other games, so I was less focused on war grade attacks than on farming and other heavy hitters. It's gone to war a few times and performed very well; in fact, it's never been three starred in a Clan War and only been three starred a handful of times in regular multiplayer.Potions have been secondary to troops as well; I upgraded what I use in farming attacks and Earthquake, which I feed to CCs. General defenses are largely what one would expect of TH9 maxed games or early TH10. Cannons are working their way to level 12 now, Archer Towers are level 11, Wizard Towers are level 8, and Mortars are level 7. Air Defenses were given priority initially, during the recovery, and are level 7, with Air Sweepers at level 5. Spring Traps, Bombs, Giant Bombs, Air Bombs, Seeking Air Mines...these have all been maxed for TH11 and offer attackers another surprise as they enter the core of the base. You'll notice that I have not put a whole lot of attention into the heroes. After all, everyone rages about how important they are to the game. Well...I'm not warring very much and it's not uncommon for players to have their heroes down for upgrades when farming, so.... My first goal was getting troops maxed and that took up all of my elixir and dark elixir; there hasn't been any available to really push the heroes to high levels. This basic recovery strategy can be applied to any game - and it works. Offense - Point Defenses - Air - Splash Defenses --> Take 'em to a new base level, then grow from there. If you have any questions, feel free to contact me through social media or the forums and I'll be happy to offer suggestions!